The girl, while safe, is badly shaken by the horrific incident. 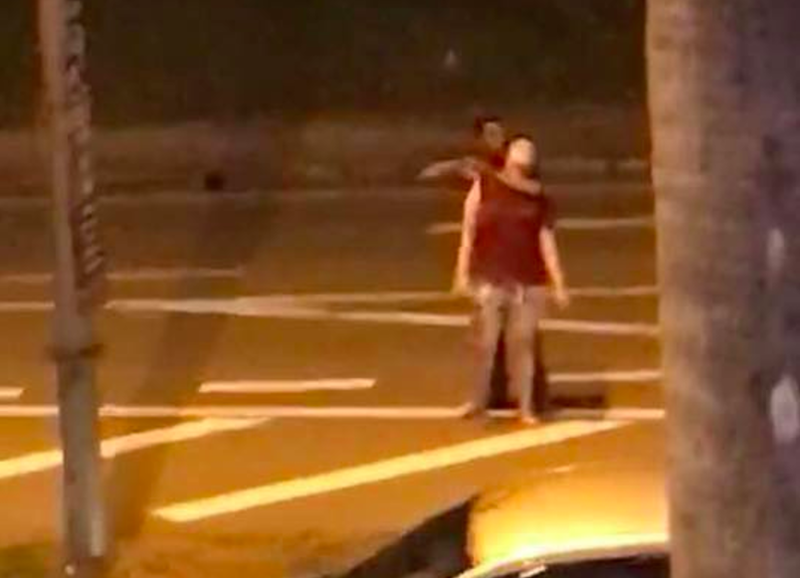 During which, while the police tried to negotiate with the man to let the girl go, he held her by knifepoint, dragging her about two kilometres to Jalan Damai in Kota Kinabalu. In the tense situation, police officers at the scene kept their cool and didn't fire any gunshots, Acting district police chief Superintendant George Abd Rakman told NST. The shirtless man had tried to break into a house at Taman Istimewa in Jalan Kolam. But he was spotted by the owner of the house and alerted the police right away. The suspect then ran towards another house and took the girl hostage. According to George, the girl was outside her house when she was taken at knifepoint. Videos and photos of the tense standoff went viral on social media. They showed the suspect holding on to the girl from behind while holding a knife to her neck. 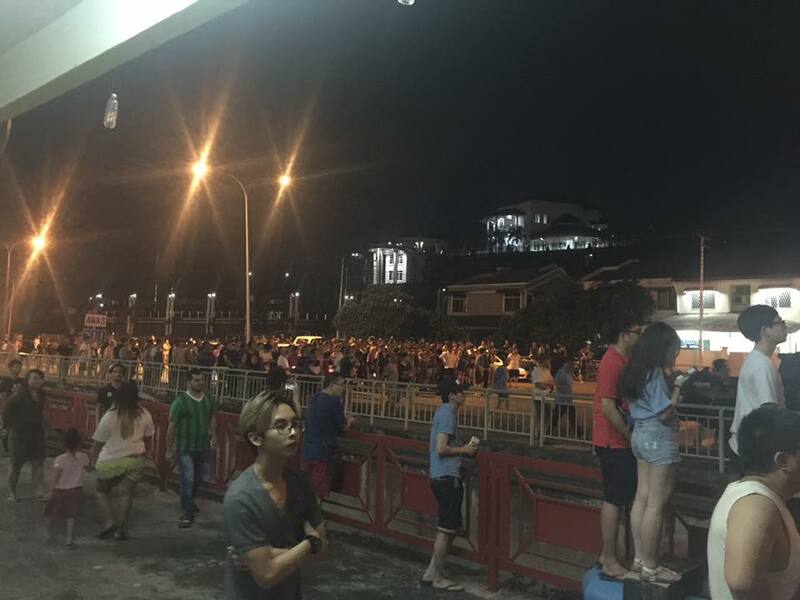 While police had cordoned off both ends of the road by 8.30pm as they attempted to calm the man down and persuade him to release the girl, a huge crowd of people had gathered at the scene as words of the hostage crisis spread on Facebook and Twitter. 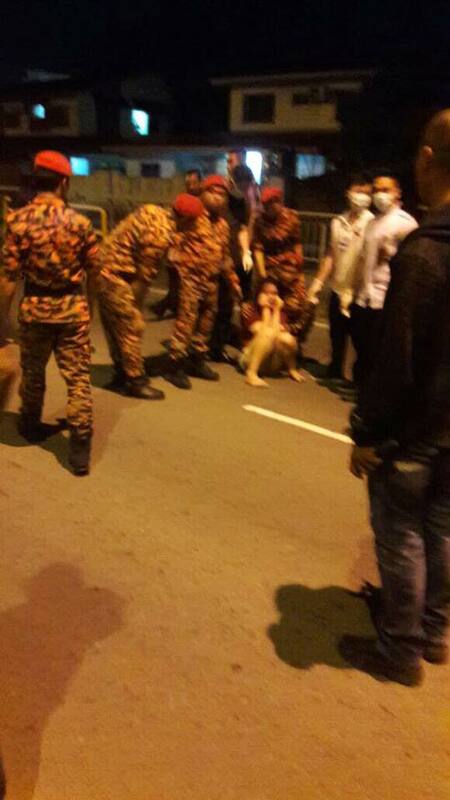 According to The Star Online, a few police officers posed as medical personnel and approached the shirtless man. They said that they wanted to treat the girl. Fooled into believing, the man allowed them to approach, which is what the police officers needed to take the man by surprise and overpower him. 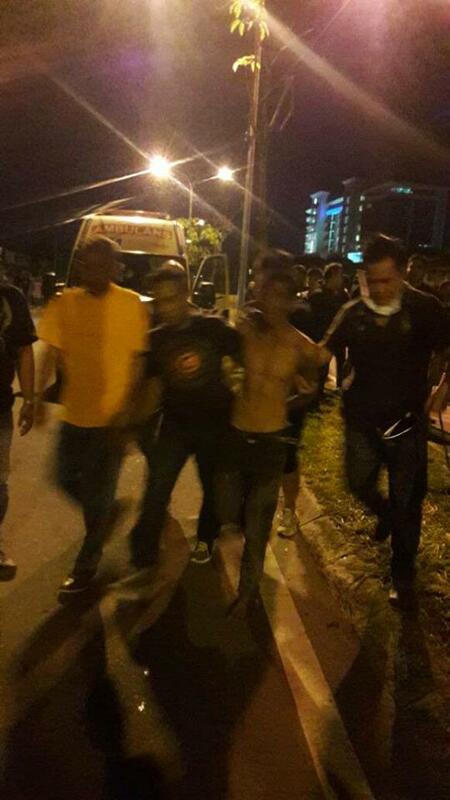 The police officers were able to subdue the man, bringing the two-hour hostage crisis to its dramatic end by 9:40pm last night, 10 May, near the Queen Elizabeth Hospital 2. The girl is reported to have sustained minor cuts and has been sent to the hospital for treatment. As evident by this photo posted on Facebook, while physically safe, the rescued girl appears to be badly shaken by the incident. She has been sent to the Queen Elizabeth Hospital for treatment. Considering what she went through - being held hostage at knifepoint by a shirtless man for two hours and being dragged for about two kilometres - the amount of emotional trauma the girl has suffered is unimaginable. According to Acting District Police Chief Superintendant, George Abd Rakman, the police have seized the knife the man was using to hold the girl hostage. "It is about six inches long," George was quoted as saying by NST. They will be investigating the incident under Kidnapping Act 1961 and Section 307 of the Penal Code for attempting to murder. He pleaded guilty to 11 charges of sexual offences involving underage boys. A Good Samaritan who was on his way home saw the lady and gave her a helping hand.